Amish Country Motel offers affordable lodging in a great location that gives you easy access to attractions of Lancaster County. We are open from early spring through late fall. Choose from charming standard double or king rooms. A two-room family suite is also available. Our 25 clean, comfortable rooms offer many conveniences and amenities, including our outdoor pool with a view of the surrounding farmlands. All rooms are non-smoking, and most provide convenient drive-up doorways. We offer a few balcony rooms where parking is located by the pool. No matter which you choose, you’ll enjoy a variety of in-room conveniences – and the warm Bird-in-Hand welcome. For any unique needs or special requests, please call us directly at (717) 768-8396. The perfect place to lay your head at the end of a fun-filled day! Our standard rooms are furnished with two double beds, a dresser and a table with two chairs, as well as a full bath. Conveniences include in-room Wi-Fi and cable television, hair dryer and refrigerator, plus individual climate control for your comfort. Enjoy cleanliness, cozy comfort and a charming country motif in an affordable package. Spread out and relax in our king rooms. Each king room features a king bed, sofa bed, table and two chairs and an armoire/entertainment center with cable television. 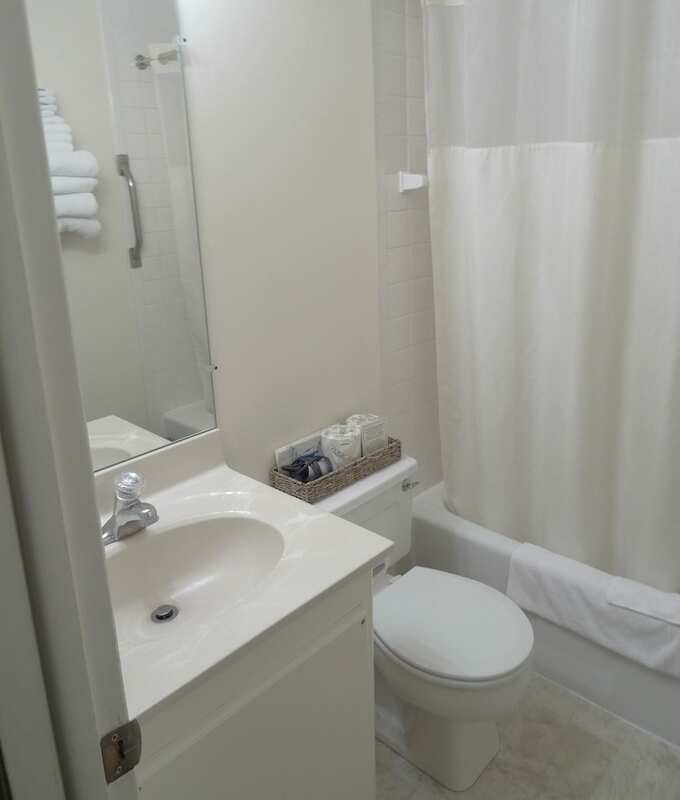 The room has a full bath, and amenities include in-room Wi-Fi, hair dryer, refrigerator and microwave, plus individual climate control for your comfort. Enjoy a spotless setting with colorful country quilts and other cozy touches. More space, more amenities, more fun! Our two-room family suite sleeps up to six comfortably. The bedroom has a full bath, two queen beds, a dresser, table and cable television. The adjoining living area features a sofa that opens up to a queen bed, plus, a table and four chairs, a recliner and another television. Other conveniences include in-room Wi-Fi, hair dryer, refrigerator and microwave. Individual climate control provides maximum comfort. If you’re traveling with family or friends, or just want some extra space for a longer stay, our two-room family suite might be your perfect choice.